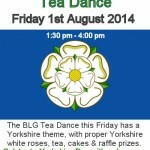 Friday 1st August is Yorkshire Day. Dance the afternoon away to celebrate this great occasion! We have Yorkshire Tea, Yorkshire Flags, White roses, Yorkshire cakes (parkin etc) even the raffle prizes come from Yorkshire. 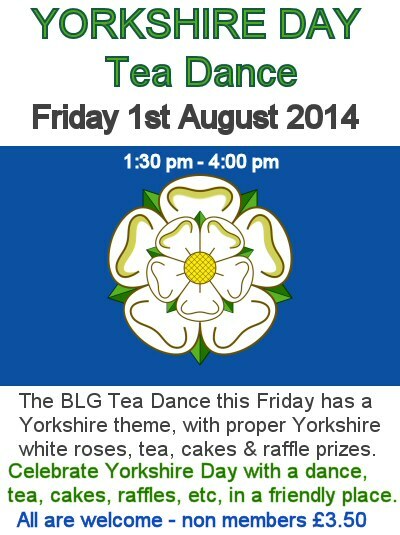 Not just for Beverley Leisure Group members but open to all who wish to celebrate Yorkshire Day with a Yorkshire themed Tea Dance.